Birthdays. Breakups. Babies. Oh My! 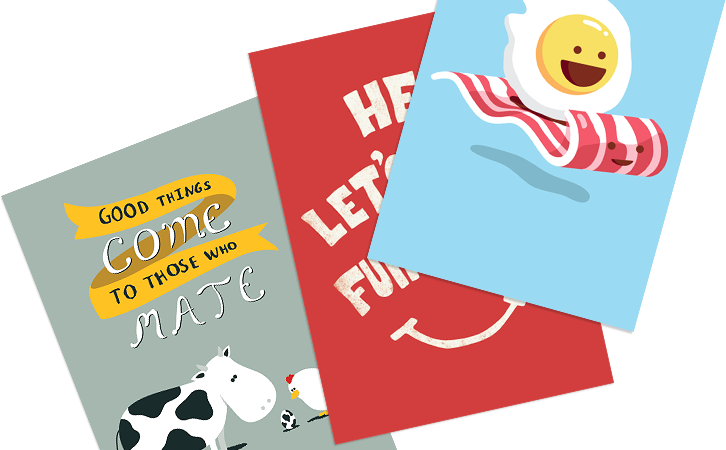 There are so many reasons to send a free eCard! 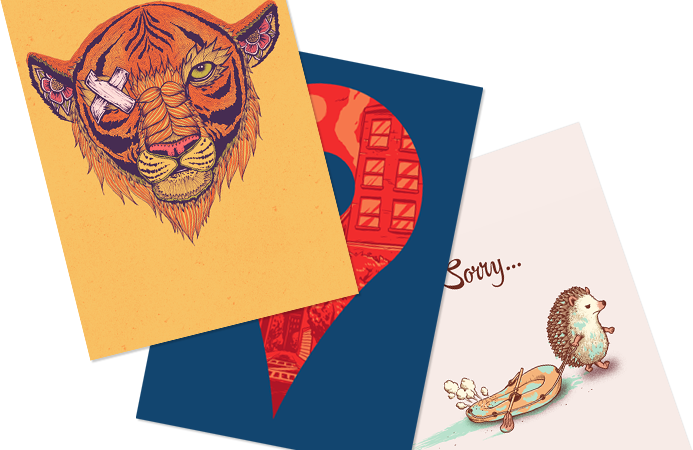 Browse cards from our hand-curated card boutique featuring Threadless artists from around the globe. Put a little love in it! Choose a hilarious punchline, write a personal message and upload a personal photo. 1) Is it free to register for Open Me lifetime membership? Yes. Open Me is currently free for registration. Members can send an unlimited amount of eCards. 2) Does it cost money to send eCards? No. All digital eCards are completely free to send via Facebook and email. 3) Does Open Me offer physical delivery of cards? Although Open Me did once offer print cards for delivery, that service is currently on hold until further notice. 4) Can I delete an eCard after I create it? Yes, even after checkout you are able to delete an existing custom eCard. 5) Am I able to send group cards and allow other people to sign my card? Absolutely! We offer group & office eCards, which lets you choose an eCard, sign it, then share it with anyone else who wants to sign it. As the card creator you can complete the card, including the appropriate delivery date. Once the card is perfect, select the send date, click on the “Invite to Sign” button and select which delivery method you prefer. Make sure you schedule the card a few days in the future so that everyone has time to sign the card. 6) Do I need to have a Facebook account in order to send an eCard? No, you can also send via email. 7) How many eCards can I send for free? There is no limit to the amount of eCards you can send. They are always free! 8) I am interested in uploading my own photo. Can I turn that into an eCard? Totally! We have blank eCards where you can upload your own image. We also have photo eCards with designed templates in which you can feature your own photo. Additionally, any eCard on our site can be customized to include any photo that you upload. 9) Are there any copyright issues with uploading photos to Open Me eCards? 10) I am interested in submitting a design to be published as an eCard on OpenMe.com. Where can I submit? Open Me is open to receiving design proposals. Please Contact Us with a link to your portfolio. 11) My eCard won’t send, and I am getting error messages. What can I do? Please Contact Us with a detailed message describing the error that has occurred. Besides sending one super cool card, you can buy a big ol' pack of cards - basically the raddest stationary ever. We'll mail it to you directly, so you can write your own message and send it yourself. Customize your own holiday card to send to all your friends and family - tell us who its going to and we'll take care of the rest - addressing the envelope, finding the stamp and saving you from having to find a mailbox. Say your crazy uncle lives in California and his nieces and nephews live all over the country. With social signing, one thoughful family member can "pass the card" around to the entire family - allowing everyone to select their own handwriting font to write a special message before the card is delivered.